Tourism ‘currency’ – the Royal Australian Mint won two major awards at the prestigious 2018 Canberra Region Tourism Awards. Photos: Brad Watts. Popular national institutions, accommodation hotels, tourist attractions and major events were honoured at the 2018 Canberra Region Tourism Awards on Friday night (23 November). 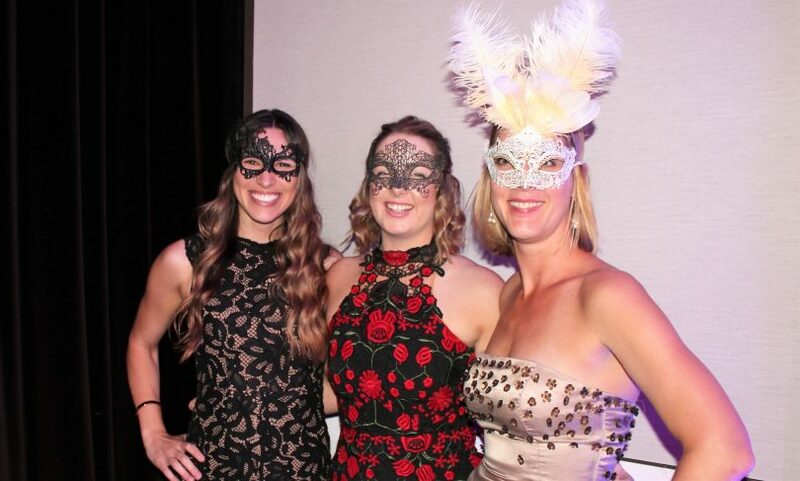 Embracing a Masquerade theme, the annual gala event attracted more than 300 industry leaders and supporters who celebrated excellence in Canberra’s growing tourism industry at the newly-refurbished Hotel Realm ballroom. Hosted by the National Capital Attractions Association (NCAA) and supported by VisitCanberra, the awards night featured around 20 categories to applaud the best of the Canberra region’s successful tourism businesses, individuals and institutions. Major winners were the National Gallery of Australia (NGA) which claimed the award for Major Tourist Attraction and Questacon – the National Science and Technology Centre won the Tourist Attraction category after winning the prize in 2017. Quest for success – Questacon took home the highly-acclaimed Major Tourist Attraction award at the gala dinner. Proudly accepting the Award, Questacon’s Director Professor Graham Durant said it was a great honour to receive the accolade for many years of hard work. During his acceptance speech, Professor Durant also presented Chief Minister Andrew Barr with a special glass snow dome to help him ease the “stress of being Chief Minister” which received rapturous applause from the audience. Several hotels were also applauded including Hyatt Hotel Canberra which won the Luxury Accommodation award. Hyatt Hotel Canberra Director of Food & Beverage Nitin Kumar said the award recognised the major improvements for the hotel in recent months. Happy Hyatt – The Hyatt Hotel Canberra won the Luxury Accommodation award for its outstanding service and food and beverages. “We have done a lot of improvements as well as focused on local food and wines which has been welcomed by guests,” he told Region Media. Other major awards were won by the Royal Australian Mint including the Cultural Tourism and Visitor Experience awards. Cheering crowd – Around 300 people attended the awards gala dinner. 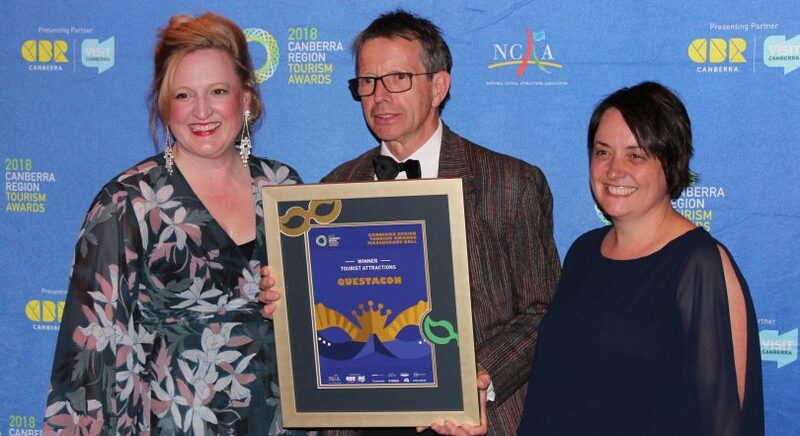 Local tourism leaders were also recognised including Stephen Byron, Managing Director of the Canberra International Airport, who won the award for Outstanding Contribution by an Individual. The popular awards event – which included several guest performances including renowned opera singers the 3 Tenoz and featured a range of local wines and beverages – is open to all tourism businesses and suppliers to the tourism industry and demonstrate the value of tourism to Canberra and the region. “These are very exciting times for the Canberra region tourism industry as we work towards achieving the target of growing the value of the visitor economy to $2.5 billion by 2020,” said Mr Barr, who presented the prestigious Major Tourist Attraction award to the NGA. 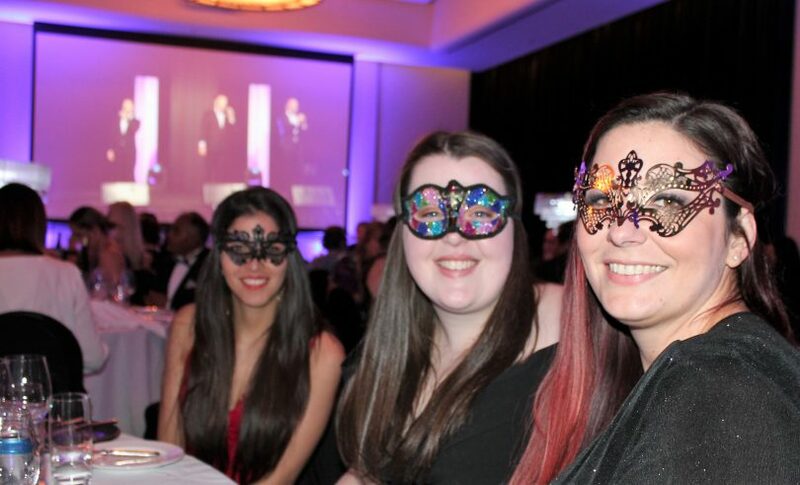 Mystery masks – The annual tourism dinner embraced a Masquerade theme. All of the local winners have the opportunity to represent the ACT region at the 2018 Qantas Australian Tourism Awards to be held in Launceston next March. “We know the fabulous pride, determination and commitment held by our tourism industry in Canberra, and we wish all winners the very best when they compete at the Australian Tourism Awards,” said NCAA President Dr Naomi Dale. Visitor Experience Award – Royal Australian Mint. Markus Gibson-Huck Young Achiever Award – Gabrielle Dinn, Broadbean Catering and Events. Celebration – Guests enjoyed local wines and beverages at the newly refurbished Hotel Realm.